Is there any paperwork or document for the mechanical systems of 41 Searell Ave, Ajax, Ontario? I need more information about the property at 41 Searell Ave, Ajax, Ontario. 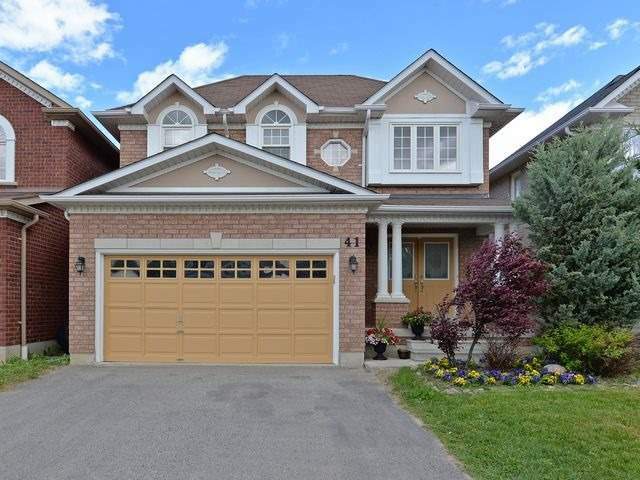 How ist the neighborhood, location and nearby amenities for 41 Searell Ave, Ajax, Ontario? I have questions about the roof, foundation, insulations and mechanical issues of 41 Searell Ave, Ajax, Ontario? I need more information about property details. What's wrong with this house? Is this a short sale? Is there any maintenance for 41 Searell Ave, Ajax, Ontario? What is this property worth in today's market? What are "closing costs", and how much? What steps should I take when looking for a home loan? What price home can I afford? Is my credit good enough to buy this house? What are the best mortgage options for me? How flexible is the seller on the asking price? How low can I consider offering for 41 Searell Ave, Ajax, Ontario? Big, Bright And Beautiful Well-Designed John Boddy 4 Bedroom Home In Desirable Eagle Glen Community. Spacious, Open-Concept Layout. Large Great Room With Built-In Fireplace. Eat-In Kitchen With Breakfast Bar W/ Walkout To Extended Deck. Direct Access From Garage To Main Floor Laundry/Mud Room. Large Master Bedroom With Ensuite And Walk-In Closet And 3 Large Bedrooms. Escape To The Immaculate Basement Apartment Where No Expense Was Spared. A Must See! 2 Stainless Steel Fridges, 2 Stoves, Dishwasher. Washer, Dryer, Hood Range, Microwave Hood Range All Elfs, All Window Coverings. Garden Shed.